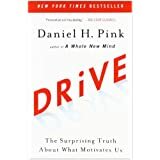 Drive: The Surprising Truth About What Motivates Us by Daniel Pink is a must-read for educators and parents alike. 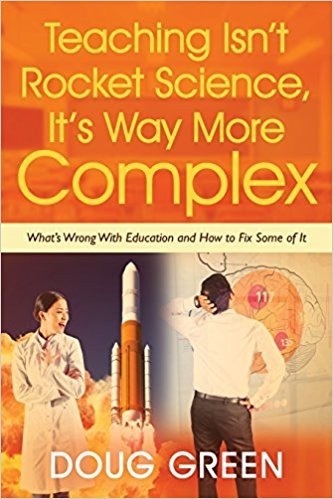 Dan summarizes current research and does a great job turning it into interesting and understandable prose that educators can apply to their practice. Every school should have this on the shelf. 2.0 – Motivations based on direct rewards and punishments. Such carrots and sticks are typically financial in this context. They work for jobs that are routine, which are often the jobs that can be sent offshore or done by a computer. 3.0 – Intrinsic motivation, which is conducive to creativity. This allows you to do things for the satisfaction of doing them rather than any monetary reward. Examples include open source software, Wikipedia, learning to play a musical instrument, or doing a puzzle. It is important for nonroutine (heuristic) jobs. In these jobs rules are loosely defined, which requires creativity. Studies show that rewards and punishments can extinguish motivation and diminish performance. They focus behavior, which can crush creativity and they can crowd out good behavior. In some cases, they can lead to cheating, shortcuts, unethical behavior and lead to addiction. They can foster short-term thinking at the cost of long-term results. This entry was posted on Wednesday, September 14th, 2016 at 8:59 am	and is filed under Book Summaries, Business Books, Education Books, Leadership Books. You can follow any responses to this entry through the RSS 2.0 feed. You can leave a response, or trackback from your own site. Daniel Pink has such a great way of putting things out there. I just listened him on an AoC podcast, and it made me realize that he’s right.